At the outset, let me convey, on behalf of the Islamic Republic of Afghanistan, our sincere appreciation to the Republic of Argentina for its successful leadership of the Group of 77 and China. Mr Chairman, your wise leadership at a time when the world is facing many challenges has helped us stand united, and expand and strengthen cooperation among members of our Group. Last year, the worldâ€™s leaders reviewed the achievements and challenges of the MDGs at the 2010 MDG Summit and endorsed its outcome document. However, many developing countries still face enormous challenges on the road towards achieving the MDGs. We believe that our strengthened collaboration, growing trade and transit, and unity in striving for a common cause is the best formula for our success and for achieving peace and prosperity for our nations and peoples. Promoting trade and investment among G77 member countries is an effective way to mitigate the negative impact of international financial crises and shocks. In that vein, we recognise both the necessity and potential of North-South collaboration, as well as cooperation between countries of the South. Furthermore, through such cooperation with each other and the rest of the world and with pro-poor socio-economic policies, we can both combat the challenge of climate change and work towards poverty alleviation. Afghanistan, like the rest of the Group, is deeply concerned over the multiple global crises, including widespread poverty, climate change, financial troubles, and the threat of terrorism, volatile energy prices, and food shortages. All of these challenges have had substantial negative impacts on our progress towards achieving the MDGs. In a globalised world, we cannot and should not isolate ourselves from international financial markets and the rest of the world. However, it is only prudent for us to adopt policies to free ourselves from total dependence on and vulnerability to the shocks of the international market. Strong and sustained growth is critical for developing countries to meet their internationally-agreed development goals, including the MDGs. My delegation fully agrees with the G77 that economic and social development is the central objective of the United Nations, which remains the only legitimate fully-global body that could address the need for sustainable and socially-equitable development. Addressing the multiple challenges of economic crises, climate change, and food security, is ultimately and above all our own responsibility. It will require our constant efforts, careful governance, and just yet practical social and development policies. Accomplishing these vital tasks cannot and will not be possible, however, without sufficient resources. 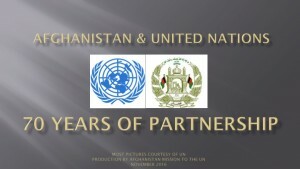 In order to effectively respond to the ongoing challenges, Afghanistan calls on developed countries to demonstrate greater flexibility and political will to meet and scale up their Official Development Assistance (ODA) commitments to developing countries, particularly LDCs and post-conflict countries. My delegation also emphasises the importance of regional and international cooperation to address challenges like food security and agricultural development, as integral parts of the international development agenda. Afghanistanâ€™s delegation actively participated in the drafting of the political declaration of the High-Level Meeting on the Prevention and Control of Non-Communicable Diseases. We fully support the stand of the G77 in favour of strengthened international cooperation in the area of public health, to promote access to comprehensive and cost-effective prevention, treatment and care for the integrated management of NCDs, including improved access to affordable, safe, effective and high-quality medicines and diagnostic and other technologies. We also strongly endorse the position of the G77 and China that ODA must be increased in order to achieve national development objectives, including the MDGs. It is also important that donors take into consideration the principle of ownership of recipient countries, reducing the allocation of ODA outside of government systems and instead channelling more funds through core budgets and transparent trust funds. We believe it is also important that donorsâ€™ reporting mechanisms be improved. We consider a lack of donor coordination, a lack of transparency and data sharing, and the unpredictability of aid to be among the challenges that must be addressed. 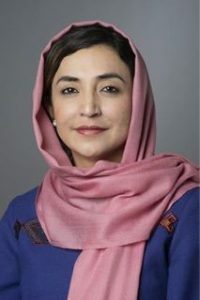 Afghanistan supports the stand of the G77 and China on major international issues and believes that the G77 can play an important role in the framework of the United Nations, towards achieving peace and security in the world and to pave the way for sustainable economic and social development for all. Before closing, let me take this opportunity to congratulate our brother country Algeria for being elected Chair of the G77 and China. We are confident that in pursuing a development agenda in 2012, Algeria will be steering our Group in accordance with the principles of inclusiveness and transparency, further strengthening the unity of the G77 and China.